Written by JAMES ROBINSON Art BERNARD CHANG & JAVIER PINA Cover by JULI?N L?PEZ & BIT 'Brainiac & The Legion of Super-Heroes' Part 3! 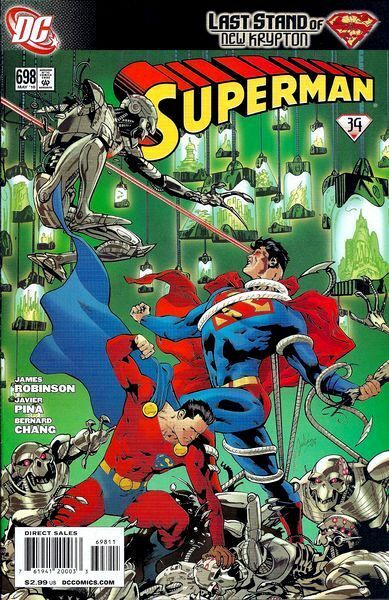 Superman is trapped on Brainiac's ship while New Krypton burns! Mon-El will need to call upon all the skills he's learned in the last year if he's going to have a chance of freeing the Man of Steel! Plus, what secret about Brainiac will the duo learn that may help turn the tide?